With soaring temperatures, the idea of snow seems entirely foreign on the cusp of August. 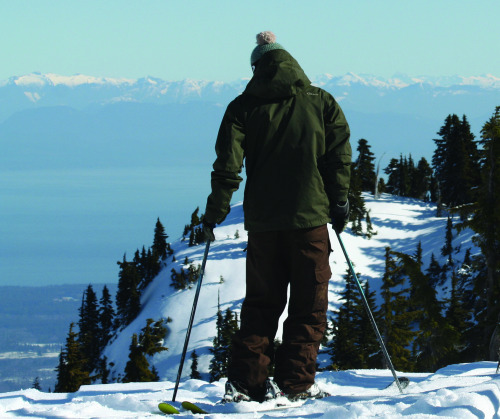 However, amongst busy days of mountain biking, beer festivals and sun-kissed views from the top, the crew at Mount Washington Alpine Resort have already put on their thinking toques to gear up for the 2009/2010 ski and snowboard season. Season passes went on sale last week and if you purchase yours before Friday, July 31, 2009 – one week from today – you’ll be entered into a contest with some not-so-chintzy prizes. The winner of the initial draw at the end of July will have the entire cost of their pass purchase reimbursed (who doesn’t like to ride for free?) with subsequent draws at the end of August and on September 15. The winner of the August draw will be treated to a weekend getaway at Middle Beach Lodge in Tofino (where my mom and I will be staying). A golf package from Crown Isle Resort, the Pacific Mist Hydropath at the Kingfisher Spa, and Mount Washington gift cards make up the third and final prize draw in September. The resort has re-vamped season passes for the 2009/2010 season and is now offered a tiered system of Gold, Silver and Bronze. The Bronze pass is a traditional mid-week pass that includes mid-week nordic skiing, mid-week night skiing and weekend skiing in April. Silver passholders will be entitled to the traditional any day, anytime pass. 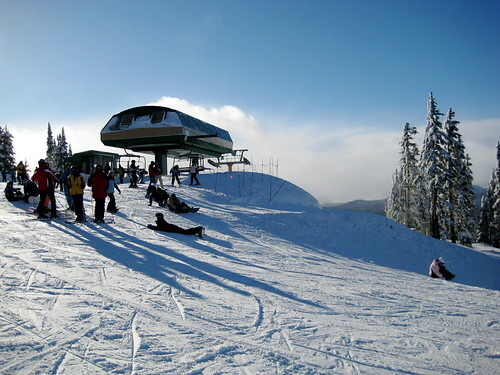 Gold girls and boys (and men and women) will enjoy the added benefits of food and beverage discounts, retail discounts, and free hot waxes in addition to mile-high lift access during the summer in 2010. For more information on season passes and how you can get your hot little mitts on one, visit the resort’s website or call the mountain toll-free at 1-888-231-1499. I’m sure you and Laura will have a fantastic time at the Wine Festival while I look after Sienna and Jordy!